Visitors take their own personal tour of the museum, and and take as little as 30 min, or over 3 hours. All day pass to the museum. The World's Largest Toy Museum Complex features two buildings and five museums, as well as collections of toys that you will not see anywhere else in the world; explore the World's Largest Toy Museum, The National BB Gun Museum, The World of Checkers Museum, and the Stearnsey Bear Museum, which are all included in this fantastic complex. Guests will also be able to see an astonishing collection of Star Wars and Star Trek memorabilia, Barbies, toy trucks, puzzles, and more. The complex boasts over one million toys from the 1800's to today for a unique chance to travel back to childhood. The museum provides visitors with a look at just about every famous toy that has been used by children for the past two centuries, including numerous antique toy trains, tractors, Pop Guns and even board games like Break the Bank. The museum is also home to an exclusive collection of GI Joe action figures from the last 30 years as well as BB guns dating back to the 1850s. Come take a look at various military toys, western toys, Roy Rogers and Dale Evans displays, cap guns, planes, trains, bicycles, lunch boxes, cast iron and tin wind-ups of the past. Don't forget to check out some of the other toys that represent heroes and performers from your childhood and beyond including Tom Mix, Groucho Marx, and Shirley Temple. Toy commercials spanning from the 1950s to present day are played throughout the museum for an interesting look into what the toy market was like back in the 'good ol days'. The museum is open Monday through Saturday from 9 AM to 8 PM with winter hours ranging from 9 AM to 6 PM. The tours are self-guided and can range anywhere from 30 minutes to a few hours, and guests have the ability to leave and return during the same day. Remember your childhood and all of the fun these toys gave you at this two-year Trip Advisor Award of Excellence winning complex, and just maybe you'll find the kid inside of you again! Approximately how long could a customer plan to spend at World's Largest Toy Museum? Guests spend approximately 2 hours here. There are two gift shops. 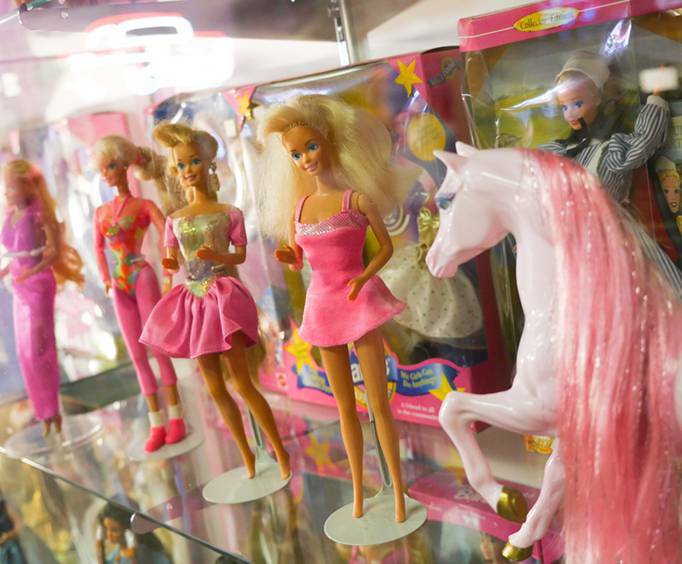 Is World's Largest Toy Museum handicap accessible? Yes, though there are two small rooms only accessible by stairs. For what ages is World's Largest Toy Museum appropriate? Is parking available at World's Largest Toy Museum? Is it free? I really enjoyed going to the museum. It brought me back to my childhood. It was great seeing some of the toys i had as a child along with the ones my kids had, it was a trip back in time! This museum is great for all ages. 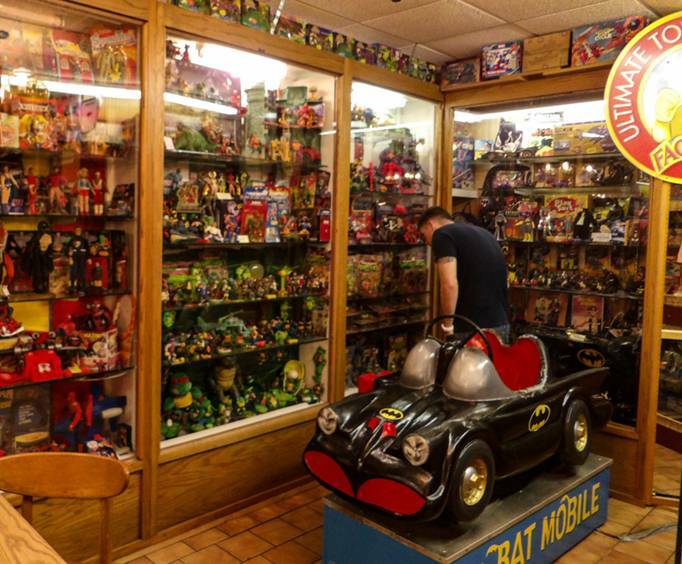 Whether your childhood was in the early 1900's or early 2000's, there's a wide collection or memorable toys featured here. A definite stop for children and adults alike.